Have you or anybody in your family suffered a stroke? Then you would know how recovery from a stroke can be an uphill battle, marred with frustration and anxiety on the patient’s part and helplessness on others. But there is always hope. Recovery from stroke is literally a lifelong process, but there is this one game you can play, that could really become a valuable aid in making you as mentally and physically fit as it possible. By definition, a brain or cerebral stroke happens when the blood supply to the brain is disrupted, and when the brain does not receive oxygen that the blood supplies, brain cells begin to die. A stroke affects motor functions and muscle control and patients also often have memory loss, mental fogginess and sometimes pain or tingling in the affected parts of the body. Is recovery from a stroke possible? Recovery from a stroke is a long process, but a possible one. Within weeks of a stroke, the brain begins to regenerate the dead or damaged cells – making new brain cells (neurons) as well as new blood vessels to connect to them. What can we do to fasten recovery from stroke? You can play chess. It sounds flippant—it is anything but. Chess is a game long revered for mental strategy that is proven to have long term benefits on memory, IQ as well as reading. It enhances problem-solving skills, creativity, patience as well as planning and ends up exercising both the sides of the brain thereby increasing mental acuity. How can chess help in physical recovery from a stroke? When you play chess, you need to move the pieces around in a multidirectional but precision format. There’s a wide range of movement – forward, backward, diagonally forward or backward and of course, sideways. Hover each movement is precise in its range – the piece has to move according to the rules of the chess, and a set number of squares only; be it to play, defend or attack. This precision movement helps in regaining vital motor skills needed to live an independent life. There’s so much that our hands and arms do and when you lose part of this movement after a stroke, chess can help in this physical part of recovery from stroke. 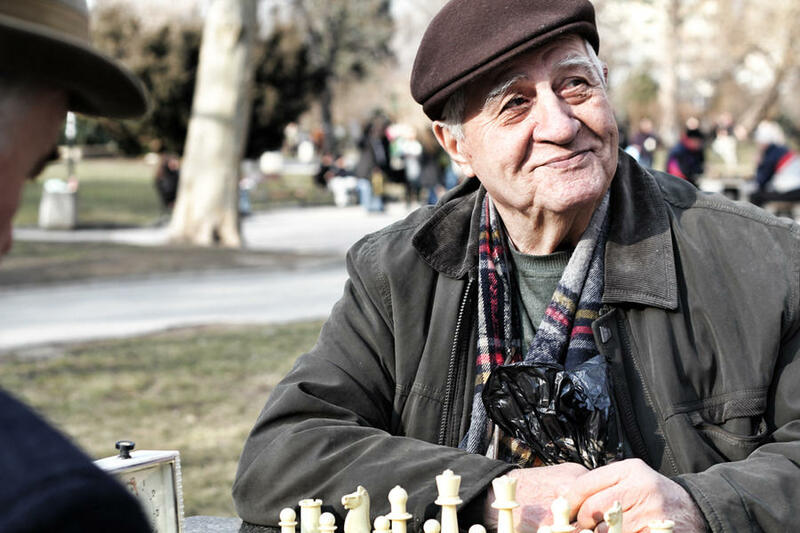 How can chess help in mental recovery from stroke? When you play chess, you use both the hemispheres of the brain for chess marries logic with creativity in a power-packed mental game of skills. There’s a considerable mental effort required to play the game. Memory improvement: You use your memory to remember how which piece moves, attacks or defends and this metal exercise helps you recover lost memories and help in further retention. Mental clarity: Your strategy keeps changing and you have to think and rethink new moves the way your opponent continuously does too. You need to give full concentration to the game, else its checkmate for you. This mental exercise can improve communicative as well as cognitive abilities. A state of calm: Chess is also a sort of a meditation – when you play chess, your concentration shrinks to just that board – this single-mindedness in a game that as fast or as slow as you want it to be, helps you in achieving a zen-like state of mind. A happier state of mind: Win a game or lose one, chess is rather invigorating when played well. It may not have the same effect as physical exercise, but playing a game of chess can flush the system with adrenaline and make a depressed stroke victim feel so much better. Remember that chess makes one cheerful for even if one loses a game, there’s always the next one to look forward to. There’s nothing like some good competition to revive the brain and the soul. And by doing that, chess inculcates hope and a new lease of life in a person bogged down by recovery from stroke.